Portland In Stitches: Portland In Stitches shirts are ready. Portland In Stitches shirts are ready. I printed the Kenton design first. 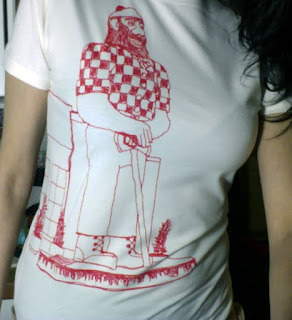 I think I like Paul Bunyan better on the side of the shirt rather than centered. You can buy these on Etsy right now. Check it out! Our dogs are friends. Happy Valentines Day.